Finally it was time for the marathon challenge of the winter season. 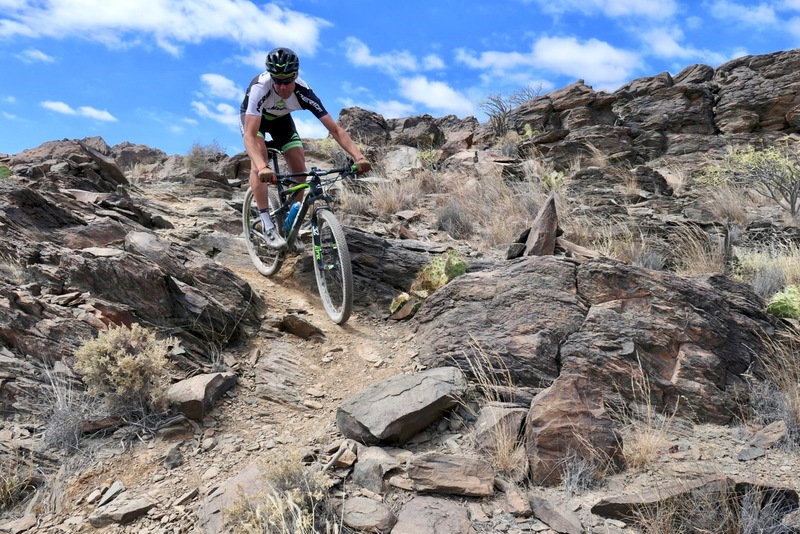 This was the third Ayagaures MTB marathon and I’ve been there in all of them. The first year, my form was really bad. I had come from a difficult situation and was not prepared to race. It also didn’t make it much easier that the weather turned crazy with 6 degrees and hailstorm during the event. Last year my form was better, but I hadn’t raced in a long long time. So I was too tense and wanted too much. That ended up with first – a stupid crash, then a puncture on one of the many sharp rocks in the area. This year I was well prepared, lower shoulders and the goal was to do this together with Anja. It would be her hardest event so far! Since I’m here working for Life On 2 Wheels. I have had the opportunity to train a lot in the course. I knew it well and like it a lot. Of course I can’t change the gradient of the climbs, and as a big rider, the steep ones hurt the most. 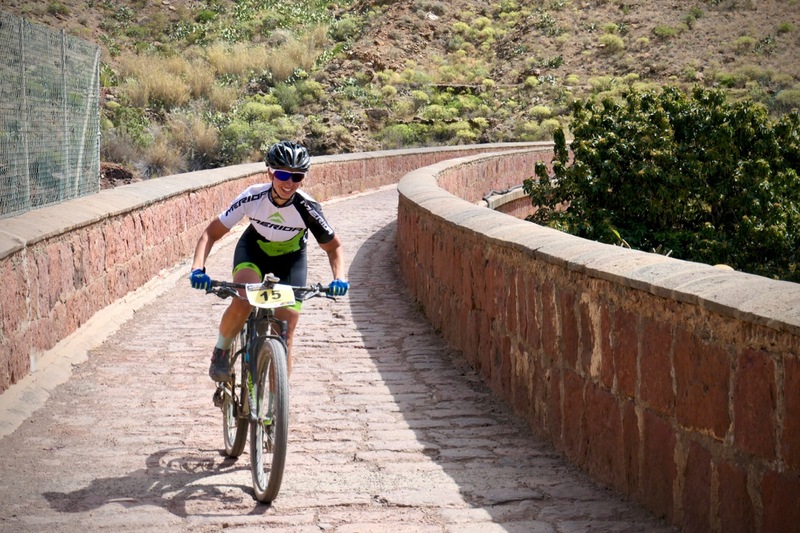 64 km and 1600 climbing meters may not sound like much, but it is a hard race! The surface is a bit rough and often loose. It’s not like the Norwegian hard pack gravel roads that you easily can ride with a road bike. 9 AM. Start! From the beginning in the valley of Ayagaures we went straight into the first climb. I was going hard in front to see who was strong enough to follow, but held back a bit for the later parts of the race. When we came over the top there was a trio left in front - Me, Javi Ramos and David García. We were taking turns in front, but for the first half hour it was more a transport and tactical race to save energy and test each other a bit in the climbs. After the first half hour, there came two loose and rocky gravel road descents. I love descending and let it roll to see how the others could cope. Javi followed, but David didn’t. Then came the rough dirt road out to the quarry. Reminds more of a river bed than a road, really. Here we let the full suspension do the work and went on heavy gears to the first feed zone. In this section we had managed to get a 1,5 minute time gap to David. 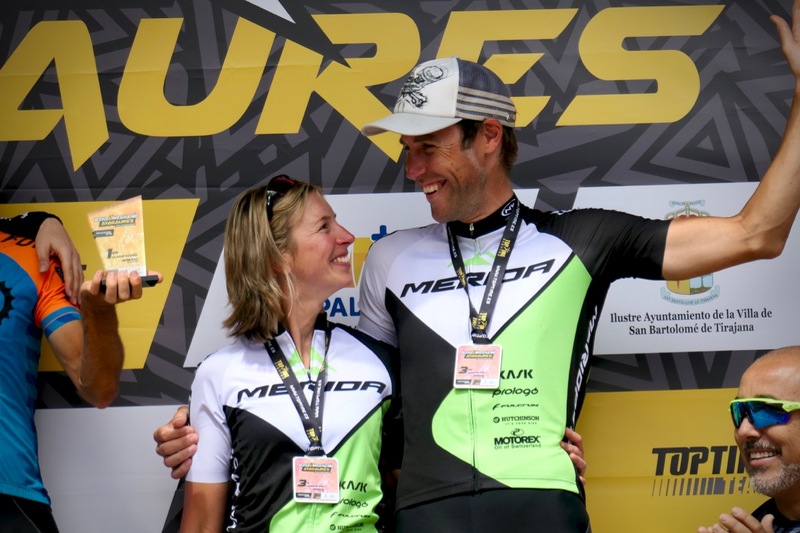 In the feed zone Anja’s parents were standing with bottles to support and cheer for us. That gave some extra motivation, and it was cool to pass in first place. 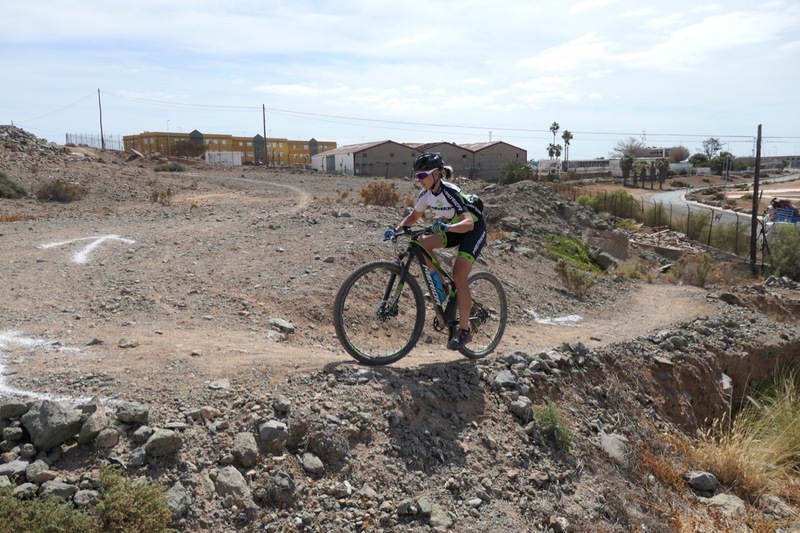 Then we entered the new loop of the course from this year - Lomo Maspalomas. The section is a 10 km loop and is a bit more technical trail, but I could not get Javi off my wheel, not even downhill. But then he punctured.. Just like he did in Arguineguin. I felt bad, since I want the best rider to win and not by a technical KO. I was suddenly alone in front and kept pushing with nobody around. It’s extra hard, since you have no reference about time gaps to riders behind or if you’re gaining or losing time. I passed the second feed zone, still alone in front. Up the rough gravel road on the way back the legs started to fade. Then came the two hardest climbs. I looked behind for a short moment and saw David was around a minute behind me. With his weight in the 50-kg range I knew the two upcoming climbs would favor him, but I pushed what I could to keep the gap open. No chance. He came passed me like a missile towards the end of the first one, and at the top of the second he had a gap of 1:20. In the following technical trail descent I managed to shorten the distance with 1 minute, so only 20 seconds between us. Doesn’t help much when the next climb is almost 20 % and continues to rise after in the valley of Fataga. The legs were hurting bad, but I was not giving up. I knew the last section on the dirt roads back to Ayagaures could be to my advantage since I’m bigger and stronger. Suddenly I heard a sound. Someone was behind me! I didn’t even think of focusing on what was going on behind earlier, and I had thought Javi was done for the day. But he had other plans. He had fixed his puncture and was back - full of energy and motivation. He attacked immediately, and I didn’t even have time to think before he was out of reach. I kept pushing to keep the distance short to him, but never seemed to manage to close the gap. In the “Gran Canyon” the road goes in and out of different barrancos, so the three of us in front could see each other from time to time. It gave me some extra motivation to keep going all the way to the finish. You never know what can happen. Suddenly they run out of steam. Over the last hilltop and with a view down to Ayagaures I realized the battle was over for today. I rolled down to the finish over the dam and ended up in 3rd. After my finish I was waiting for Anja. We had been training in the course the whole week and gone through the technical sections to be well prepared. This was something we wanted to do together. My thoughts went to her many times during the race, and I knew she was out there pushing just as hard as me. I was waiting by the final dam together with her parents, and when she came, I felt really proud and happy. It’s a tough challenge, but she finished really strong and ended up on 3rdoverall as well. How cool – both on the same step of the podium. 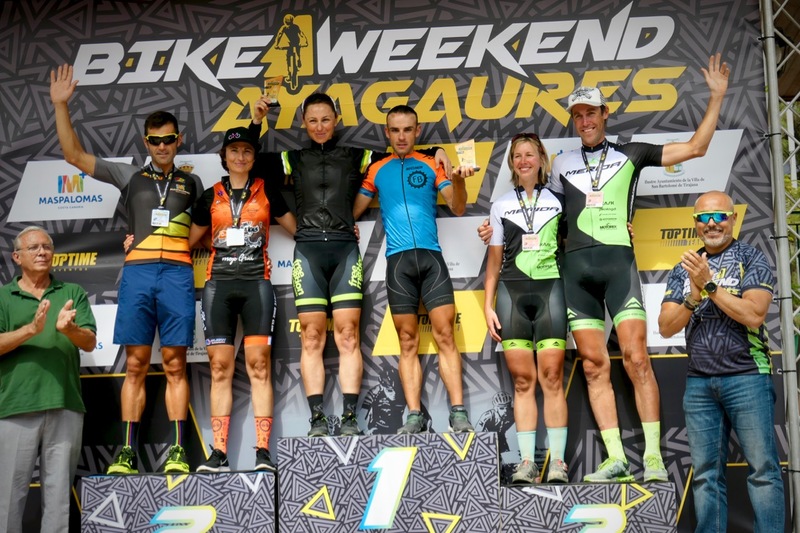 Thank you to Ayagaures MTB for a great race. We hope to be back next year! 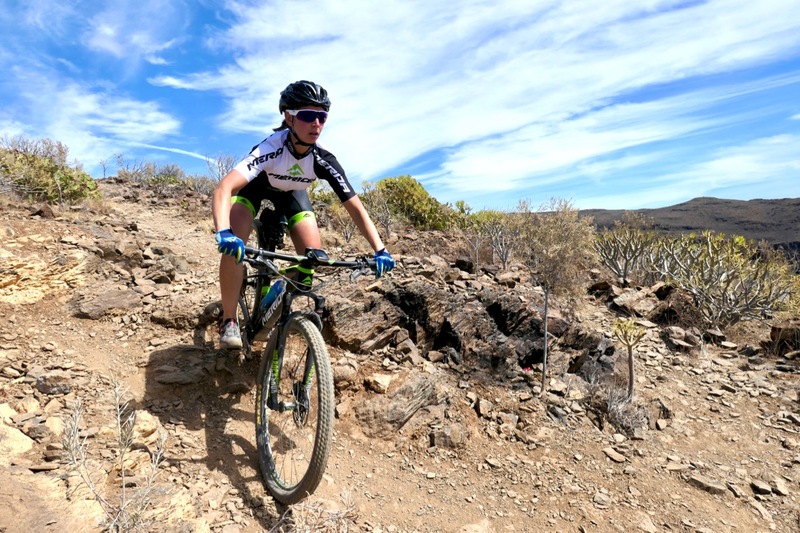 Copyright © 2018 – 2019 Life On 2 Wheels Cycling Club S.L.U. All Rights Reserved.